Last week, a humble narrator found himself in Lower Manhattan, moving on foot betwixt the rivers. Having debarked a boat nearby Houston Street on the Hudson which I’d been on since the morning, my next obligation involved Long Island City and one decided upon involved walking crosstown to connect up with the NYC Ferry’s East River route via Pier 11 at the foot of Wall Street. Along the way, my camera was clicking away at whatever happened to catch my eye. 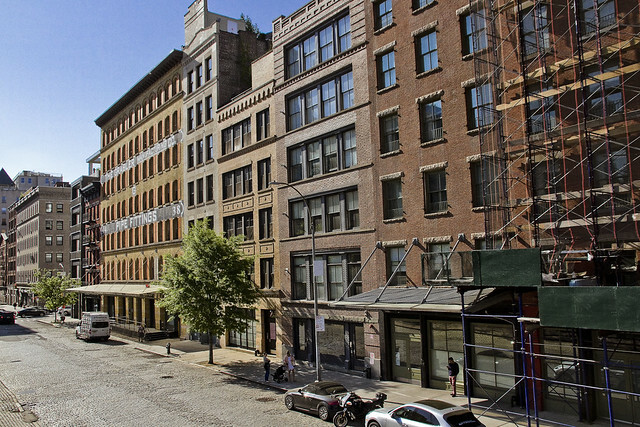 The scene above, a well preserved example of the former mercantile empire which NYC was once at the center of, exhibited the tepid level of what passes for street life and activity in the sections of NYC which are the Crown Jewels of gentrification. Urban planners hate the chaos and tumult of actual street life, and would offer this section – defined by the Holland Tunnel – up as a success story. It’s Laight Street, if you’re morbidly curious. Over on Worth Street, a rather large “works” project is underway involving the rebuilding of the road itself. Luckily, this has scratched away the occluding asphalt which disguises the “works” of the City, exposing the veins and arteries of the metropolis for inspection by one such as myself. 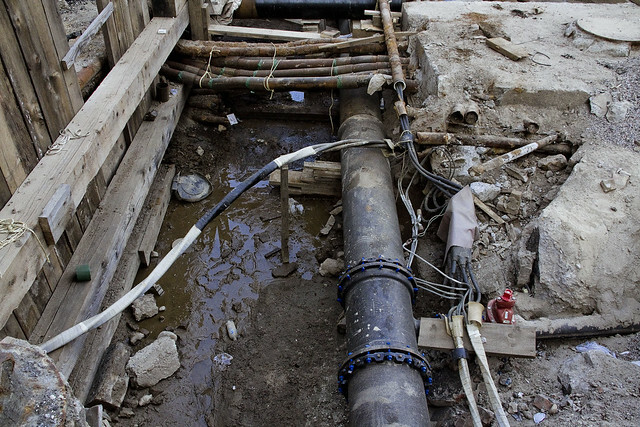 The area surrounding this trench is the heart of the Legal Industrial Complex in Lower Manhattan. Shadowing of the public way was provided in this particular spot by a fortress like Federal building. It should be pointed out that they don’t seem overly concerned with creating protected bike lanes in this part of the City. I was following a path that inevitably led to the East River, and as mentioned, moving diagonally across Lower Manhattan. 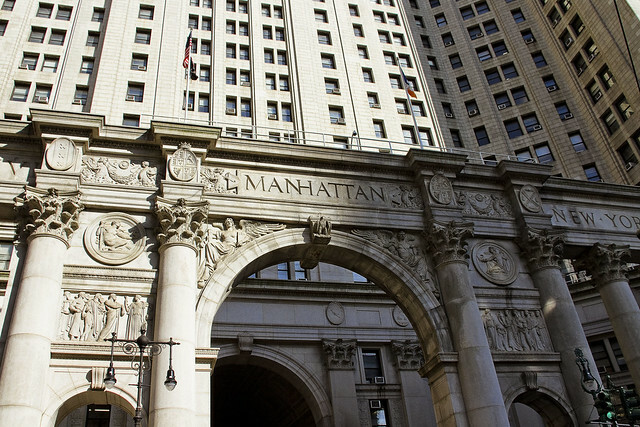 The Manhattan Municipal Building at 1 Centre Street was renamed in 2015 for former Mayor David M. Dinkins by our current Mayor, who was his protege. Given how startlingly awful the administration of the former executive was, it’s stunning that anything at all is named after him in NYC. There’s a been an attempt at rehabilitating his image in recent years, stealthily led by the current Mayor and his acolytes. Plastering names of former politicians on public buildings is red meat for those currently in office, it should be mentioned. I refuse to call Triborough or Queensboro anything other than their proper names until the Brooklyn Bridge is renamed for Michael Bloomberg or David Patterson. Accordingly, it’s the Manhattan Municipal Building, not the David M. Dinkins municipal building. Luckily, my steady scuttling got me to the ferry on time, and I arrived in LIC at the appointed hour. Unfortunately, one developed a blister on the second little piggy (or index toe) of my left foot during the walk.